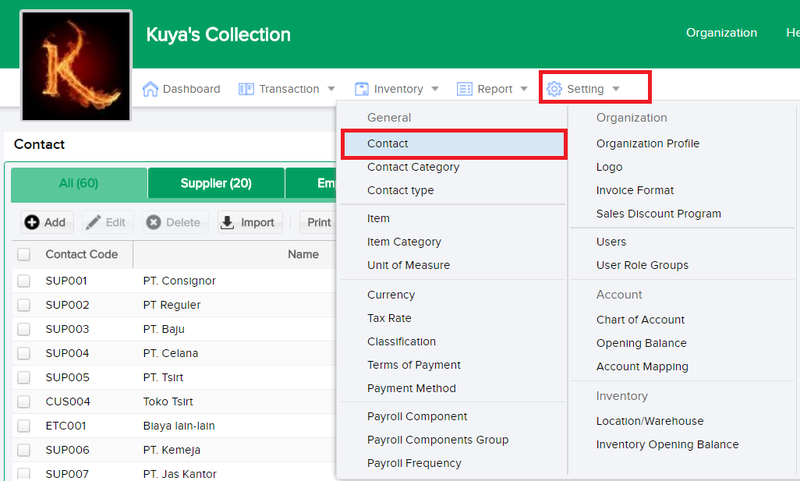 This feature covers all contacts related to your organisation (customer, supplier, staff etc). This feature allows you to import Contact Data from a foreign database into the Sleekr Accounting database of your organisation. you can start importing your contact data clicking on the Import button as shown in the appendix/picture above. Click on ImportContact.xls to download the file template data. 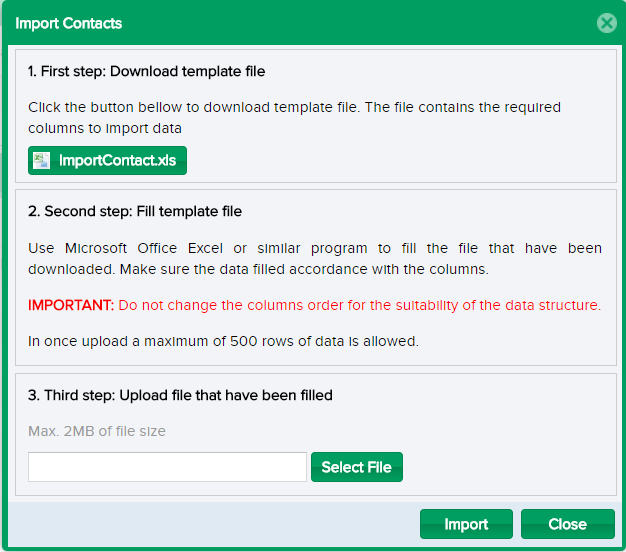 The file contains columns required to import data. Use Microsoft Office Excel or a similar program to fill the data templates that have been downloaded. Make sure the data is filled in the right column. It is also necessary to note that you should not change the order of columns that have been provided due to the suitability to the system. You are allowed a limit of 500 rows of data. Click on Select File to upload the the edited template consisting of your oganisation's contact data. Press Import once you have identified and attached the right file.